Sono stato a Pradelle per qualche ora questo pomeriggio, con la Lia e alcuni amici. Era caldo e assolato, e la migrazione era in corso, ogni tanto uno o due gruccioni passavano sul bosco graculando. Abbiamo fatto un breve giro nel castagneto alle spalle del parcheggio, fermandoci a guardare una merla sul nido, a seguire le grosse orme di un daino nel fango del sentiero, attraverso un sottobosco bianco di anemone trifogliata e sotto le foglie nuove, bronzee e accartocciate dei pioppi tremoli. Tornando indietro, dal bivio verso Pradelle, abbiamo levato una tortora selvatica dal margine del campo arato. I was at Pradelle for a few hours this afternoon, with my daughter Lia and some friends. It was warm and sunny, and the migration was in progress, sometimes one or two bee-eaters passed gurgling above the forest. 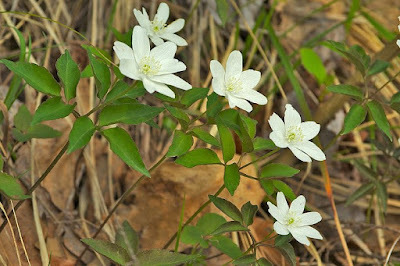 We did a short tour in the chestnut wood behind the parking lot, stopping by a backbird nest, following the big tracks of a fallow deer in the mud of the path, crossing through an undergrowth of Anemone trifolia and under the new bronze and curling leaves of aspens. Returning back from the crossroads towards Pradelle, we startled a turtle dove from the edge of the plowed field.